You definitely do not want to attempt to endure an Elgin winter without your heating system in optimal condition. Even a slight decrease in comfort is worrisome. Strange screeching noises from the cabinet, acrid smells, or a pilot that won’t light can set off a panic. Nobody has time in his or her schedule or room in their budget for major repairs. 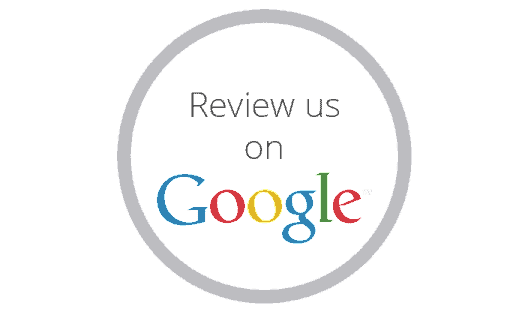 When you call Elgin Sheet Metal Co Heating Repair in Elgin, Illinois., you can relax. We keep time, cost and intrusion into your home at a minimum. Our NATE-certified technicians arrive on time, dressed professionally and safeguard your home from damage. We always keep a tidy work area, clean up after ourselves and take away old equipment to be recycled when we are on a heating repair call. Our goal is to eliminate the stress, reduce the inconvenience and maximize the rewards. Your heating system is an expensive and critical piece of equipment. Trust repairs to a local business with over fifty years of experience. Our team is factory trained, licensed insured, background checked and drug-screened. Elgin Sheet Metal Co. employs the best people, and combines our team with the most sophisticated tools and extensive resources, to deliver swift, quality repair work. 24-hours a day, seven days a week, we’re available when you need us the most. 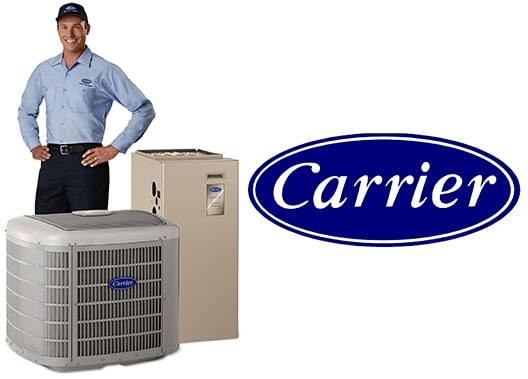 Call us at 847-742-3486 for emergency service, and rest assured, we’ll resolve your problem quickly. 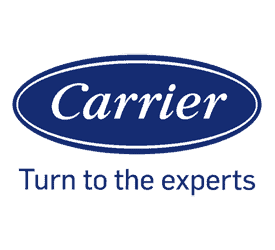 Elgin Sheet Metal Co. is a Carrier Factory Authorized Dealer. We earned this distinction through honest business practices, product knowledge, technical expertise and market leadership. 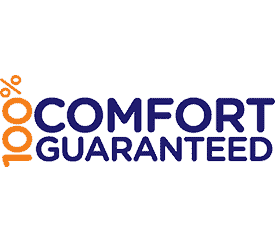 With approved credit, we offer Carrier financing and guarantees on workmanship and installed parts, facilitating and protecting your investment in home comfort. We install Factory Authorized Parts if possible to optimize efficiency and lifespan of your system. 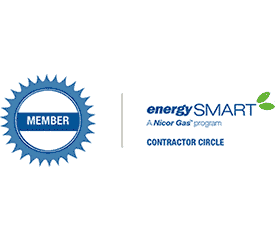 Our team is entirely NATE-certified, having passed industry-recognized, heating/cooling-specific tests, created to distinguish excellence in the field. Our technicians continue updates in the latest developments, heating repair techniques and products to ensure we are your most knowledgeable source for all aspects of HVAC service. Elgin Sheet Metal Co. heating repair specialists keep you informed, disclosing information before beginning work and making recommendations for the best course of action. Whether it’s a simple issue of calibration or entire system replacement, Elgin Sheet Metal Co. heating repair handles all makes and models, old or new, and works diligently to have you back to warm and comfortable that same day. Heating difficulties can be a threat to health and safety. Incomplete combustion can lead to dangerous levels of Carbon Monoxide. Contamination hidden in ductwork or the inner workings of the system, such as rotting animals, puts your family at risk of inhaling bacteria. Headaches, nausea, itchy eyes, sore throat and fatigue are a few of the symptoms caused by defective heating equipment. Don’t procrastinate when it comes to the well-being of your family and performance of your heating system. Call the heating repair experts from Elgin Sheet Metal Co. heating repair. Along with prompt, professional repair, our technicians will analyze your entire system, warding off future problems and making safety a priority. Do they offer 24 hour emergency service? We have a service technician on call 24 hours a day to handle emergency service calls for our regular customers. Do they offer a variety of preventative maintenance programs, including full coverage service agreements? We have developed several programs designed to make it easier for you to extend the life of your equipment and keep repair bills to a minimum. Will they deliver on the promises that they make? Have your neighbors heard anything about them? Will they stand behind their work? Will they even be in business next year? Studies indicate that one out of three HVAC contractors goes bankrupt every year. At Elgin Sheet Metal, we don’t cut corners and we will be there when you need us. If you ever have a problem with your equipment, we ask that you call our Service Department as soon as you realize that you cannot solve the problem by yourself. The sooner you call us, the greater the chance that your problem will be taken care of at a time that is convenient for you. If you have a question about your equipment or about our preventative maintenance programs, please call us at 847-742-3486 and ask for the Service Department.